Spring is one of the very best times to visit Oak Ridge, Tennessee! When the last traces of winter melt away, the Secret City comes alive with fantastic weather and beautiful greenery. Visitors come from far and wide to enjoy Oak Ridge’s wonderful outdoor activities. To help you make the most of your trip to the Secret City, we have put together a guide to five of the best things to do in Oak Ridge TN in the spring. Please note that Haw Ridge Park is for serious mountain bikers. The park’s epic “Washing Machine” trail is famous for its exhilarating twists and turns! Exploring the University of Tennessee Arboretum is another one of the most popular things to do in Oak Ridge TN in the spring. This 250-acre research and education facility is home to over 2,500 native and exotic plant specimens. Springtime brings a variety of breathtaking wildflowers to the arboretum’s trails, including Yellow Trillium, Jack in the Pulpit, Indian Pink, Lenten Rose, and Daffodils. Spring is the perfect time to hit the links in Oak Ridge! Boasting rolling hills and natural forestry, the Centennial Golf Course is one of the very best public golf courses in East Tennessee. The Secret City also features the private Oak Ridge Country Club, which is the home course of three-time PGA Tour winner Scott Stallings. 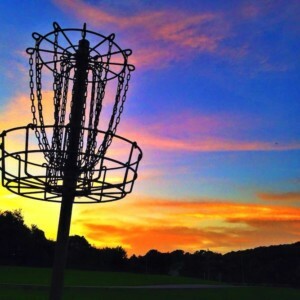 If you’re in search of a different type of golf, grab a frisbee and head over to one of Oak Ridge’s excellent disc golf courses: Grove Park or Carl Yearwood Park. Oak Ridge’s Melton Lake is the ultimate destination for a fishing trip! This 5,700-acre reservoir is home to a variety of fish species, including musky, largemouth bass, white crappie, northern pike, and skipjack herring. Anglers can cast their line from the shore, which extends for over 170 miles, or they can cruise Melton Lake in a boat. For information on where to pick up your fishing license and tags, check out our Melton Lake Fishing page. Situated less than 15 minutes away from the heart of Oak Ridge, Windrock Park is the largest privately-owned trail system in America. 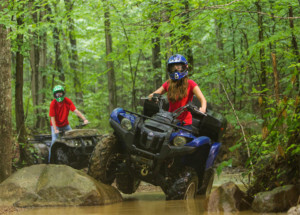 Windrock is famous for its thrilling off-road trails, which can accommodate ATVs, Jeeps/4x4s, side x sides, dirt bikes, rail buggies, and rock crawlers. Throughout the spring months, Windrock Park hosts a number of races and gatherings that bring thousands of off-road enthusiasts to town. 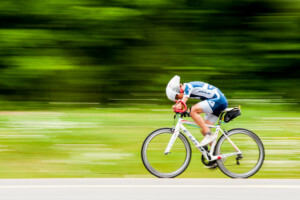 Looking for even more great things to do in Oak Ridge TN in the spring? Visit our Events page to see all of the special festivities in the Secret City scheduled for the spring season!